The winner of the 2019 Scott O'Dell Award for Historical Fiction is Finding Langston by Lesa Cline-Ransome. Does anybody else read Elizabeth Wein's "Young Pilots" books (Code Name Verity, its various companions, and the others dealing with the same time period and subject matter)? If so, what do we think of them? I've read Code Name Verity, Rose Under Fire, and most recently The Pearl Thief and really enjoyed all of them. I could nitpick about them (and have, on my Tumblr) but I'm so happy to have World War II fiction that's appropriate for teens and early adults and that deals with personalities and relationships rather than solely military or technical subject matter that I've fallen in love with them anyway. I recently bought Firebird, a recent and for some reason very hard to find one dealing with a Soviet airwoman suspected of treason, but I haven't read it yet. It was actually initially going to be a birthday present for a dyslexic family member of mine (Wein wrote the book in a way that prioritized readability for dyslexic readers, which I wasn't aware that anyone was doing and greatly admire) but even a month after Christmas I'm still really on the fence about giving a book for young readers to someone in his fifties. I'm sure the book is great but he's not really a YA or children's literature fan and I don't want him to feel that I'm patronizing him. If anybody has read it, what would you recommend I do? There are prompts for many fandoms, including some "any." Come join us! What books did you read this year? I've been recapping/reviewing all Alcott's novel-length fiction and certain non-fiction. Nominations for Yuletide are now open! This year you get 3 fandoms with 4 characters each. I would like to open the community to older books that were not historical when they were published but have become so due to the passage of time, such as A Little Princess, Ballet Shoes or even The Outsiders. American Girls: Molly has one story. A multifandom commentfest for tiny to medium British fandoms of all kinds. All fanworks welcome. (Click on the banner for the link.) All British (and British-set) YA fandoms should be eligible. For American Girls - Kit, one story. For American Girls - Molly, two stories. For the Finishing School series, one story. For Frontier Wolf, one story. For Sorcery and Cecelia, one story. For the Leviathan series, one story. For The Squire's Tales, one story. 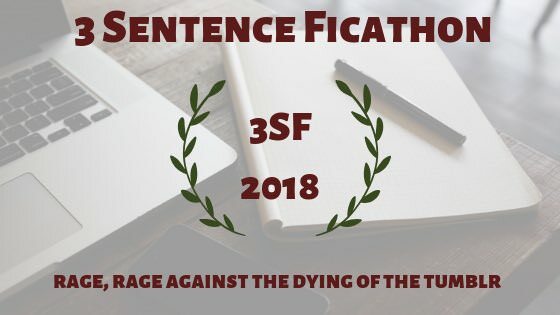 Fic Corner is running again this year and nominations close tomorrow! Apologies for not updating in so long. What 2015 releases are you looking forward to? So fic_corner is an exchange for picture books through YA. There's a fandom brainstorming post up right now. The Exchange at Fic Corner is a gift exchange for fic based on children's and YA books and short stories from picture books to edgy teen novels. The FAQ can be found on the fic_corner on Dreamwidth or fic_corner on LiveJournal comms. Information will also be posted to Fic-corner on tumblr. The signups for the 2013 Sutcliff Swap Fanwork Exchange will open April 8! We had a great turnout last year and hope this year will be even better. Sutcliff Swap is a multifandom exchange for canon-era fanfiction and fanart based on the childrens' and adult novels and short stories of British historical fiction author Rosemary Sutcliff. While perhaps best known for her novels of Roman Britain, Sutcliff's works spanned settings from c. 2000-1000 BCE to the 19th century Ottoman Empire. Between Shades of Gray has one story. Blood Feud has three stories. Code Name Verity has nine stories and one treat. Eagle of the Ninth has one story. Kate and Cecelia has two stories. Knight's Fee has one story. Montmaray Journals has three stories and one treat. Sally Lockhart has two stories. The Shining Company has one story.